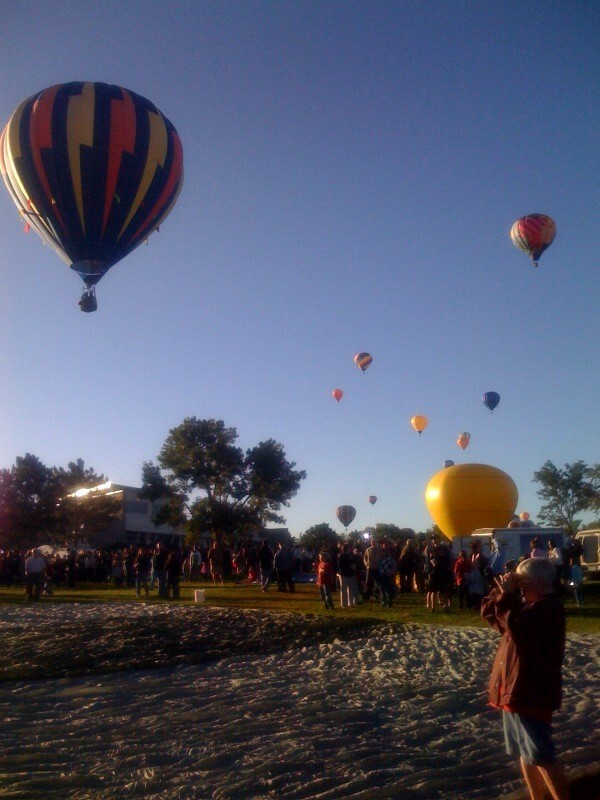 Colorado Springs, Colo. – Balloons at the Labor Day weekend 34th Balloon Classic flew two of the three mornings. This kept the Glaser Gas refueling team busy all weekend. Founded by Edward Glaser in Calhan, Colo., Glaser Gas Inc. has been in business for more than 60 years. Eldon Glaser, son of Edward Glaser, has been in charge of the refueling team for all of those 22 years. He has worked for his father’s company for the past 35 years, and has run the Colorado Springs store for 23 years. “I’m interested in flying, and since I’m not a balloon pilot, I got involved by not flying but by just being around them,” Glaser says. The refueling team consists of volunteers that help year in and year out. Each year most of the volunteer team returns to help Glaser Gas Inc. to refuel the balloons for the Classic. They will occasionally pick up another volunteer to replace ones that leave. 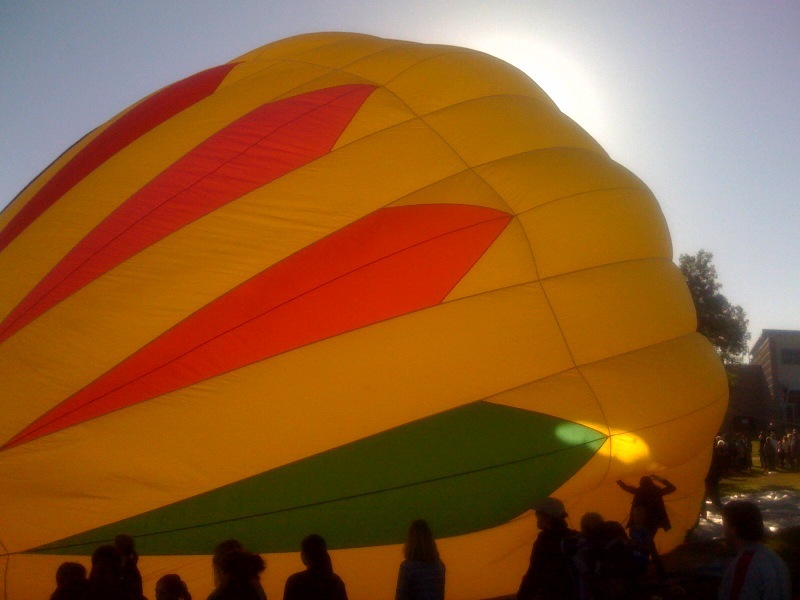 Balloons require propane to fly, so the refueling team uses the propane provided by Glaser Gas Inc. to fill the pilot’s balloons so that they may fly in the morning or glow at night for the Classic. The Balloon Classic has balloons fly Labor Day morning weekend and they have balloon glows on Saturday night and Sunday night of Labor Day Weekend. The refueling team works after the balloons fly in the morning and after the balloons glow at night. The refueling team has an assembly line setup, where they can refill 10 balloons at a time. They also have vents eight feet high that shoot out the pressure from the lines so that the balloonists, crew-members, and volunteers don’t inhale the propane vapor pressure. This puts the gas into the atmosphere so that the gas can disperse safely into the air. “We’ve rebuilt the manifold (propane distributor) to make things safer and easier for refueling,” Glaser says. The refueling team makes sure there is no source of ignition; sources, lighters, or strikers (example cell phones or cigarettes). “(We have) 67 registered pilots registered to bring 63 balloons this year,” says Patsy Buchwald who has been the President and CEO of the Balloon Classic for the past five years. The Balloon Classic continues to attract balloons like RE/MAX, the Energizer Bunny, Free Spirit, and many more. “We continue to hold the title of the largest air show and the largest hot air balloon event in Colorado,” Buchwald says. Pilots, balloonists, and crew-members are very happy with the setup that Glaser Gas Inc. provides for them. “They (refueling team) have a great setup,” says Anna Robinson, crew-member for the High Plains Drifter. “Yeah, they’re great,” another pilot chipped in, as he was filling his balloon tanks up with propane. Sorry i just realized the angle of your story it works ………. Ellie – I made corrections to those errors you found for me. Thank you. Mattye – I had one picture of the refueling stand and it was blurry and looked horrible. I didn’t see how bad it was until I got home and the Classic was over. The pictures I used here I thought they looked the best for the story. please i need the contacts of you to contact you about the balloons, because am working in balloons event.